Eliza is a happily married very wealthy woman who lives with her husband Henry and her daughter in Caroline in New York. She loves to travel and as the book begins is planning a trip to St. Petersburg to accompany her best friend Sofya home from her visit to the US. The year is 1914 and when WWI escalates and the Romanov empire in Russia is beginning to collapse, Eliza returns safely home. Sofya and her family think that they will remain safe in Russia because they are cousins of the Romanov's but the uprising of the poor in Russia also includes the end of the rich upper class - no matter who they are. When Eiza quits getting mail from Sofya, she fears the worst for her friend. These two women live very rich and pampered lives but still have empathy for what is going on in the world. Both of them are put into difficult situations and change their lives to work for those who have less than they do. At a time in history that is very difficult, they both show their strength in the decisions they make and the battles they fight. I loved and admired both of these strong women and highly recommend this novel. Just when you think that you have read everything that there is to read about WWII, a book like this comes along and you read about the effects of the war from an entirely new perspective. This is not only based on real people but it is a debut novel by an author that I predict we will be hearing from in the future. It's a fantastic novel and would be a great book not only for book clubs but for anyone who is interested in how badly people can treat others. Caroline Ferriday, an NYC socialite and former actress who works in the French embassy in NYC. Kasia - a Polish teenager who works with the underground once the Nazis invade Poland and who is arrested, along with her mother and sister and sent to Ravensbruck concentration camp. Herta - a German doctor at Ravensbruck camp who convinces herself that she is doing the right thing at the camp. Martha is a native New Englander who lives in Connecticut and Martha's Vineyard. 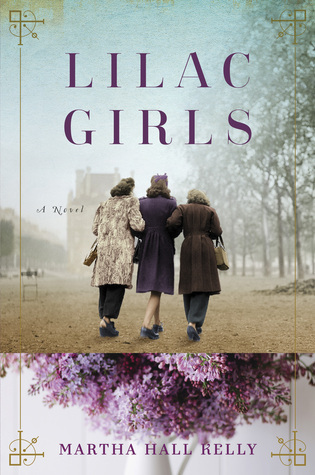 She worked as an advertising copywriter for many years, raised three wonderful children who are now mostly out of the nest and Lilac Girls is her first novel. 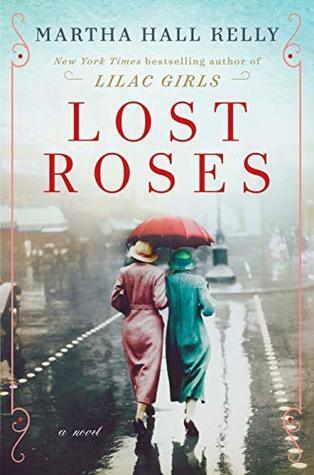 She has been hard at work on the prequel to Lilac Girls, Lost Roses, which features Caroline's mother Eliza Ferriday and her fight to save a group of Russian women, former aristocrats who lost everything in the Russian Revolution. Lost Roses publishes April 2, 2019. You'll find more info about both books on Martha's website: https://bit.ly/2C8CXxa and on Pinterest.